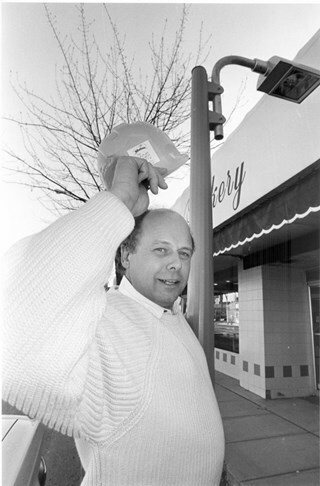 606 records – page 1 of 13. 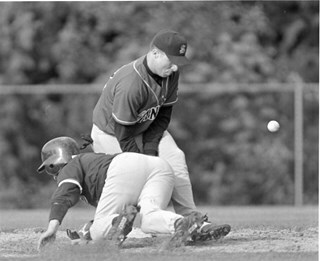 Note in black ink on recto of photograph reads: "1190 Bby Mario / 56% Bby p 10"
Photograph of two baseball players from the Burnaby Bees and Surrey Angels. Note in black ink on recto of photograph reads: "Mario 1240 Bby p. 15 86%"
Photograph of two unidentified men playing soccer. 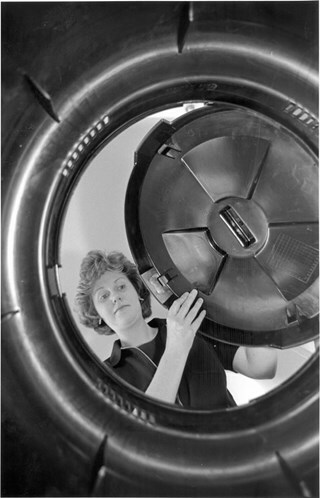 Note in black ink on recto of photograph reads: "1301 Bby Mario 72% Bby 17"
Photograph of an unidentified woman looking down an unidentified machine. Note in black ink on recto of photograph reads: "Bby p. 1 80% / Bby Mario 1349"
Photograph of two unidentified boys playing football. 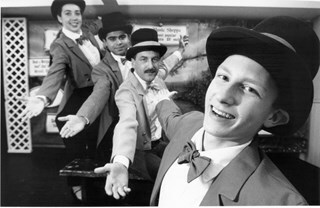 Note in black ink on recto of photograph reads: "58% Bby p. 23 / Bartel Bby Sports 1365 A"
Photograph of four unidentified people dressed in penguin coats, top hats and bow ties in the Music Shoppe. Note in black and blue ink on recto of photograph reads: "Bartel Bby 1362 A / 85% Bby p. 11"
Photograph of three unidentified girls in burlesque style dresses. Photograph has not completely processed. 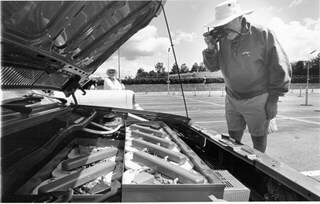 Note in black and blue ink on recto of photograph reads: "54% Bby p. 11 / Bartel Burnaby 1362 B"
Photograph of an unidentified man taking a picture of a car's engine. 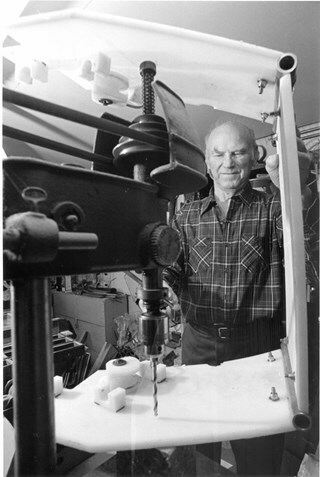 Note in black ink on recto of photograph reads: "Bartel Bby 1367 105% p. 2"
Photograph of an unidentified man operating a drill machine. Note in black and blue ink on recto of photograph reads: "pg. 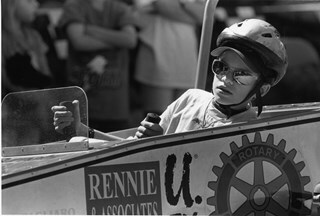 3 82% / 1783 Bby Mario A"
Note in black ink on recto of photograph reads: "Bby 3 80 % / Bby 96-592 Mario file"
Photograph of an unidentified boy riding in a soapbox car. 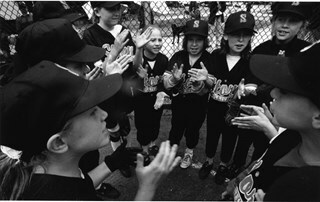 Note in black ink on recto of photograph reads: "Mario Bby 1518 B / Bby - 1 40%"
Photograph of the Newton Storm girls' softball team gathering in the dugout before a game. 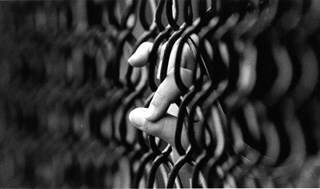 Note in black and blue ink on recto of photograph reads: "Bartel Bby 1528 A / Bby - 19 - 61%"
Photograph of a hand reaching through a fence. 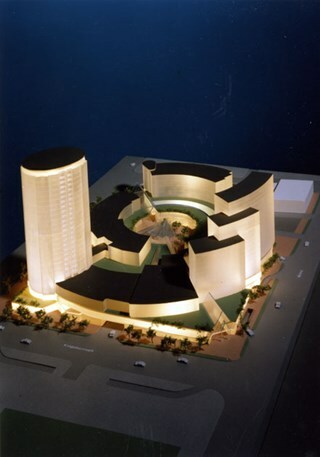 Note in black and blue ink on recto of photograph reads: "Bartel Bby 1528 E / Bby 19 43%"
Photograph of a model of an unidentified development plan. 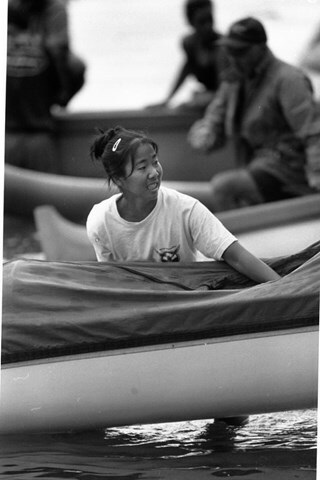 Photograph of a crew member at Canadian Outrigger Championships at Barnet Marine Park. 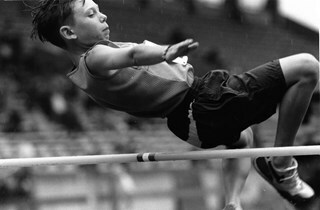 Note in black ink on recto of photograph reads: "7/9 Bby p. 1 76% / Bby Mario 1558 C"
Photograph of a young high jumper clearing the bar at the Northwestern Track and Field meet in Burnaby. 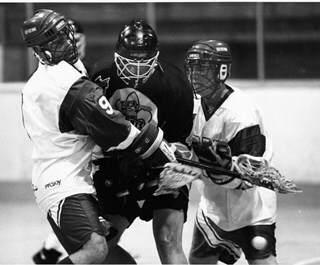 Note in black ink on recto of photograph reads: "7/9 p. 19 / Bby Mario 1559 B 74%"
Photograph of two lacrosse players from the New Westminster Samonbellies and one lacrosse player from the Port Coquitlam Saints during at game at Queen's Park Arena. 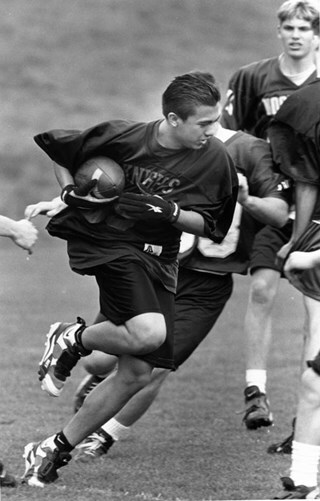 Note in black ink on recto of photograph reads: "NW Mario 1516 / Bby - 16 - 55%"
Photograph of Saint Thomas More students playing Burnaby North students in a game of football. 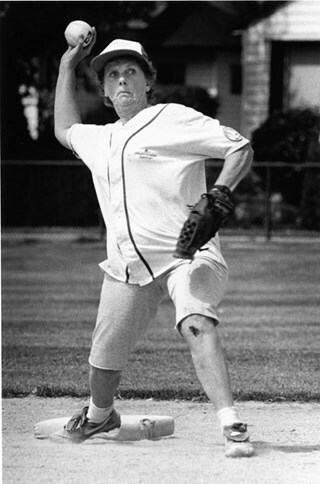 Note in black and blue ink on recto of photograph reads: "Bby p 11 90% / Bartel Bby 1613"
Photograph of an unidentified woman throwing a baseball during a game. 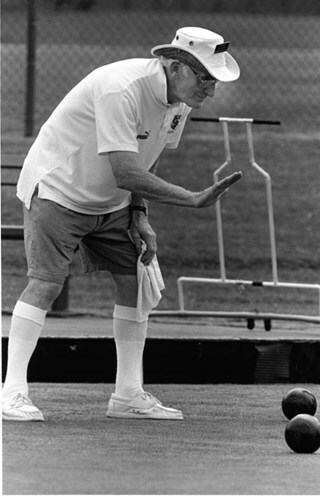 Note in black ink on recto of photograph reads: "42% Bby p. 18 / 1745 Mario Bby"
Photograph of an undentified man during a lawn bowling match. 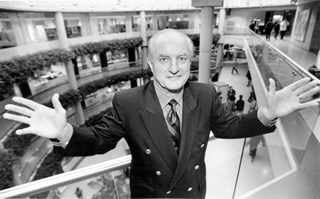 Note in black ink on recto of photograph reads: "1755 Mario Bby / 51% Bby p. 15"
Photograph of an unidentified man standing behind a computer monitor. 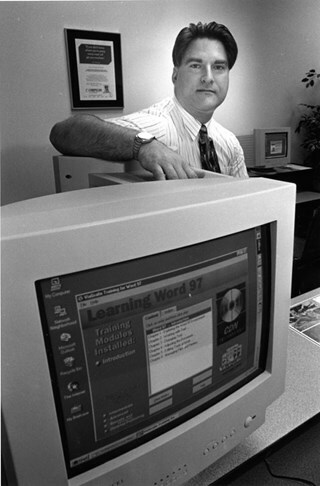 The computer monitor reads "Learning Word 97". 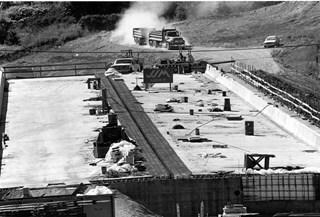 Note in black and blue ink on recto of photograph reads: "Bartel Bby 1800 / 59% Bby p. 9"
Photograph of an unidentified construction site. 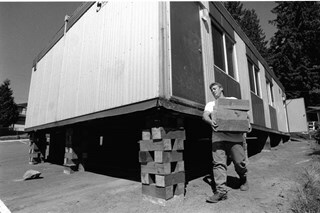 Note in black ink on recto of photograph reads: "1814 Bby Mario / 27% + 48% (p. 3 Bby)"
Photograph of an unidentified man carrying wooden blocks beside a portable building. 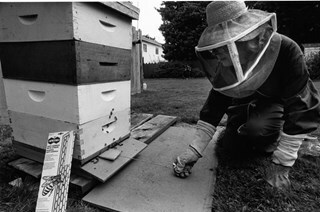 Note in black ink on recto of photograph reads: "1818 Bby Mario 75% Bby p. 1"
Photograph of a beekeeper attending to her hive. 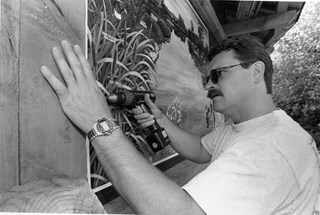 Note in black and blue ink on recto of photograph reads: "Bartel Bby 1805 / 56% Bby p. 9"
Photograph of an unidentified man using a drill to post a map on a park board. 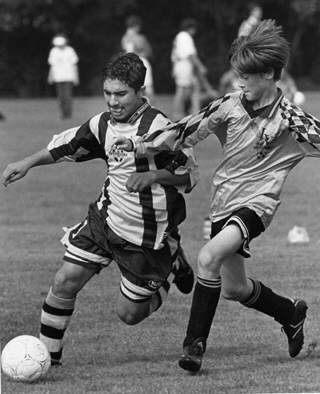 Note in black and blue ink on recto of photograph reads: "Bby Mario 1875 / 66% Bby p. 1"
Photograph of a Westburn player running beside a Lynn Valley player during a soccer game. 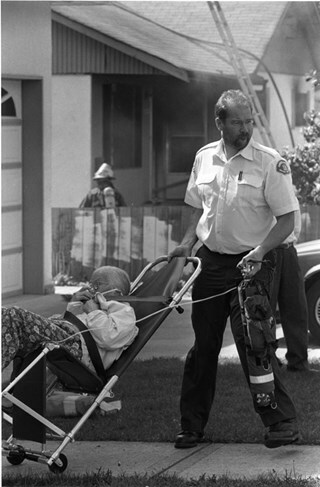 Note in black and blue ink on recto of photograph reads: "Bartel Bby Sports 1976 / 62% Bby p. 17"
Photograph of a paramedic assisting an unidentified woman who was injured in house fire on 16th and Kingsway. 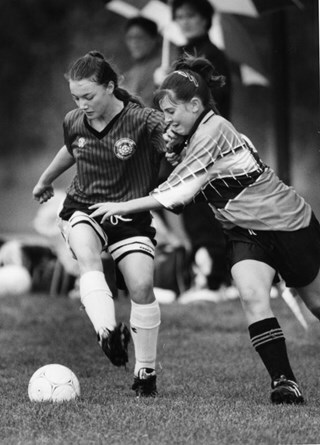 Note in black and blue ink on recto of photograph reads: "Bby Mario 2013 / 64% Bby 3"
Photograph of an under-13 girls’ soccer match between Port Coquitlam Extreme and Burnaby Inferno. 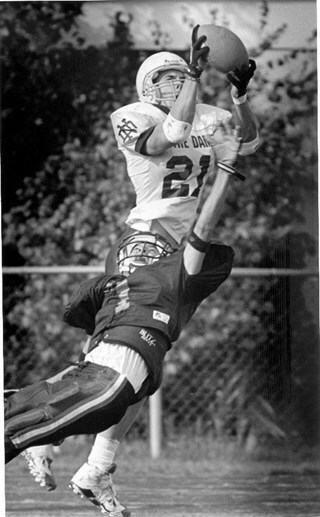 Note in black ink on recto of photograph reads: "Bartel Bby Sports 2092"
Photograph of Notre Dame and Saint Thomas More playing against each other in football. 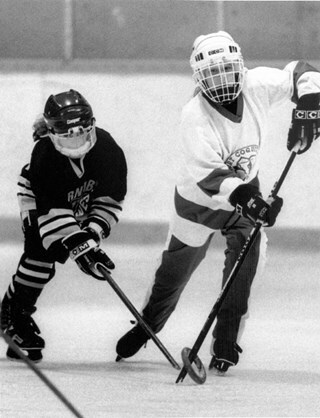 Note in black and blue ink on recto of photograph reads: "82% Bby p. 8 / Bartel Bby/NW Sports 2372"
Photograph of a Burnaby Minor hockey player skating beside an Alaskan all-star in a midget exhibition game. Note in black ink on recto of photograph reads: "Bartel Bby 2438 / 82% Bby p. 16"
Photograph of a Hastings Street fish merchant dressed up in a monkey costume for Halloween. 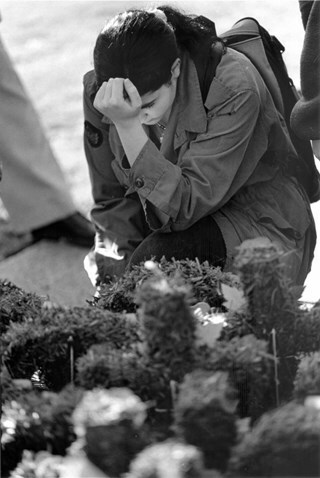 Note in black ink on recto of photograph reads: "2488 Bby"
Photograph of an unidentified girl honouring those that fought in war at a Remembrance day ceremony at the cenotaph at New Westminster’s city hall. 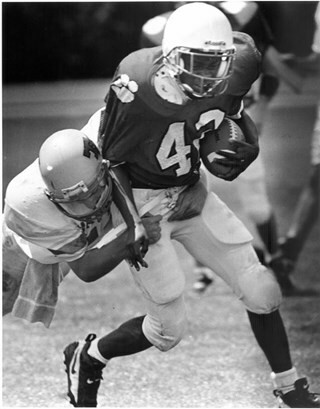 Note in black ink on recto of photograph reads: "NW Mario 2574 A / 54% Bby 9." Photograph of an unidentified man in uniform saluting at the Remembrance day ceremony at New Westminster’s city hall. 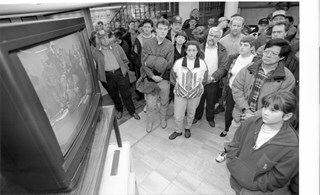 Note in black ink on recto of photograph reads: "2574 Mario NW C / 62% Bby 9"
Photograph of a group of spectators outside Burnaby city hall council chambers awaiting a decision to be broadcasted about a target range on Burnaby mountain. 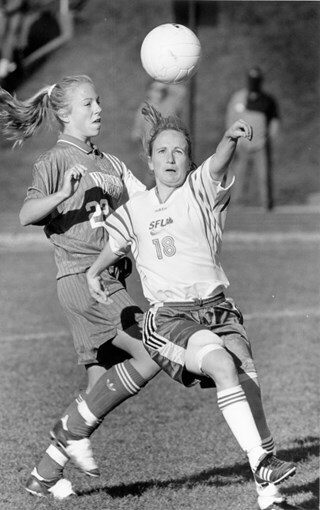 Note in black ink on recto of photograph reads: "2618 Bby Mario / Bby - 1 80%"
Photograph of Simon Fraser University's (SFU) woman's soccer team playing against the Western Oregan University's woman's soccer team. 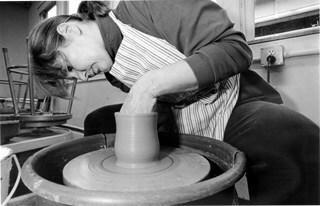 Note in black ink on recto of photograph reads: "94% Bby 19 / Bartel Bby Sports 2598"
Photograph of an unidentified woman using a pottery wheel. Note in black ink on recto of photograph reads: "Bartel Bby 2610 / Bby 13 - 92%"
Photograph of two unidentified people exiting a seniors' residence. 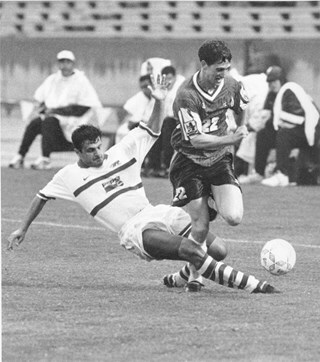 Note in black ink on recto of photograph reads: "Mario 2637 Bby - 23 - 59%"
Photograph of two Burnaby Canadians and a Metro Ford player in a men’s under-21 soccer game at Riverway Park. 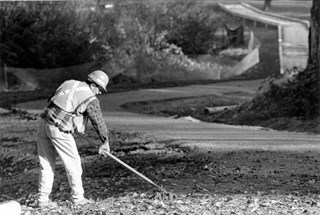 Note in black and blue ink on recto of photograph reads: "87% Bby 21 / 2653 Bby Mario / 45"
Photograph of a Burnaby Parks employee creating a trail pathway around Deer Lake. 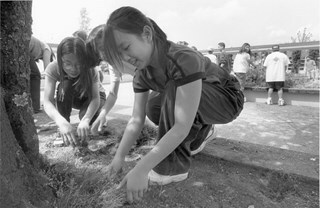 Note in black ink on recto of photograph reads: "2577 Bby Mario"
Photograph of Burnaby and Port Coquitlam ringette players in a tournament at Burnaby 8-Rinks. 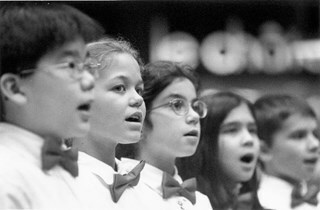 Note in black and blue ink on recto of photograph reads: "82% Bby 21 / Bartel Bby Sports 2706"
Photograph of students from Douglas Road Elementary choir performing at Metrotown Centre. Note in black and blue ink on recto of photograph reads: "Bby 13. 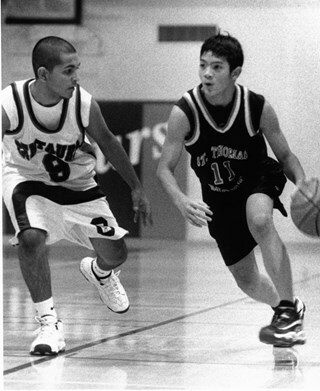 78% / Mario 2868 Bby"
Photograph of the Saint Thomas More Knights playing against the Kelowna Owls in a provincial basketball tournament. Note in black ink on recto of photograph reads: "Mario 614 Kelowna vs. STM / 24% Bby p. 1"
Photograph of New Westminster police officer in the New Westminster Camaro police car. 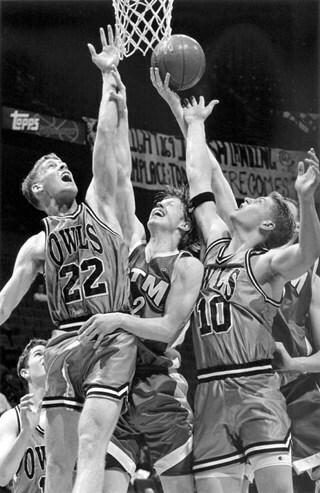 Note in black ink on recto of photograph reads: "Bby p 3 58% / 233 NW/Bby Mario"
Photograph of two unidentified boys playing in a high school basketball game. 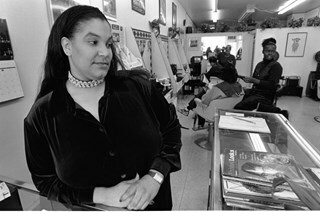 Note in blue ink on recto of photograph reads: "Bartel Bby 13 B"
Photograph of a woman identified as Michelle, a salon owner on Kingsway. Note in black ink on recto of photograph reads: "42 Bby Mario / 76% Bby p 1"
Photograph of a Red Cross clinic assistant preparing for blood donors at Alta Vista Baptist Church. 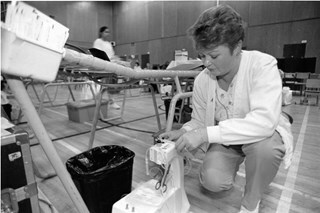 Note in black ink on recto of photograph reads: "Bby 27 Mario 47% Bby p. 9"
Caption on verso reads: "Jan 11, 1998 27: / A Red Cross clinic assistant gets things ready for blood donors at a mobile clinic at Alta Vista Baptist Church. With the end of the holiday season, the Red Cross says there is a real need for donations." 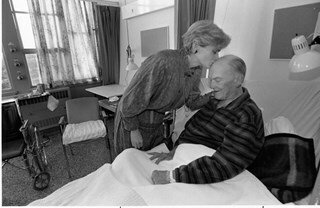 Photograph of an unidentified man in what appears to be a care home, receiving a kiss on the forehead from an unidentified woman. 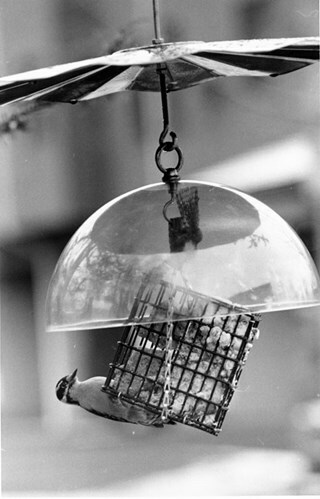 Note in black ink on recto of photograph reads: "44 Bby Mario / Whole pic - Bby p. 3 76% / NW p. 1 42%"
Photograph of a woodpecker hanging sideways on a bird feeder. Note in black and blue ink on recto of photograph reads: "Top / Bby Bartel 12 B / Bottom / 38% Bby p 15"